BEIRUT SPEAKS JAZZ is a unique platform in the Arab world where Rock, Hip Hop, Tarab, Pop and Blues artists get united on one stage and in one night to perform with a jazz band. So far we had 3 successful editions, 36 leading artists and more than 1200 engaged listeners. 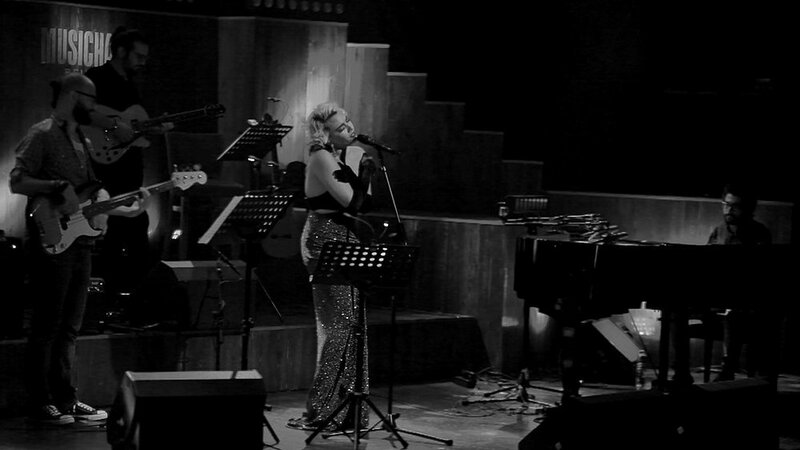 Founded in 2013 by Tarek Yamani, BEIRUT SPEAKS JAZZ is not just a performance. It is a new concept and a unique platform to raise jazz awareness among the Lebanese crowd. In one night, Lebanon's most intriguing artists of rock, rap, tarab, pop and blues all come together to explore new grounds with the encompassing sounds of jazz. Aziza, Issa Ghandour, Wassim Bou Malham, Tania Saleh, Ziad Ahmadieh, Ranine Chaar, Poly, Chady Nashef, Rayess Bek, Edd Abbas, Tarek Yamani, Raffi Mandalian, Khaled Omran, Dani Shukri & Ruedi Felder. Oumeima El Khalil, Sandy Chamoun, Hamed Sinno, Mazen El Sayed, Zeid Hamdan, Sima Itayim, Rasha Rizk, Ghazi Abdel Baki, Erin Mikaelian, Tania Saleh, Donna Khalife, Chady Nashef, Tarek Yamani, Makram Abol Hosn, Elie Afif, Paolo Orlandi, Raed El-Khazen, Omar Harb, Dani Shukri, Bashar Farran, Bassel Hajj, Jean Madani, Chris Michael, Avo Tutunjian, Jad Salemeh, Joseph Zayoun, Basel Rajoub, Hani Siblini, Nidal Abou Samra.